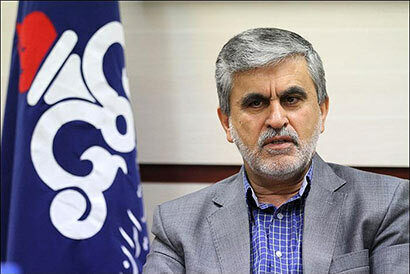 Mohsen Qamsari, an official with the National Iranian Oil Company, said on July 20 rejected the claims that Iran is selling crude oil to Greece, Sri Lanka, and South Africa. “China with 400,000 barrels per day is the biggest costumer of Iranian crude oil,” he said, adding that Beijing’s imports account for 40 percent of Iran’s total oil export, Iran’s IRNA News Agency reported. “India with 25 percent is the second biggest costumer of Iranian oil,” Qamsari explained. He went on to note that South Korea, Japan, and Turkey are the other main costumers of Iranian oil. Qamsari earlier this week rejected the International Energy Agency’s report about a 26-percent decrease in the country’s oil exports (including crude oil and gas condensates) in June. IEA announced in his latest report that Iran’s oil exports dropped to 1.8 million barrels per day in June, after China and India decreased their oil purchase from the country, Iran’s Donyaye Eqtesad news website reported on July 16. China’s oil import from Iran, with a 36-percent decrease, dropped to 510,000 barrels per day in June, while India’s oil imports from Tehran, with a 29-percent decrease, reached 141,000 barrels per day. Mohsen Qamsari said on July 16 that the country’s oil exports have not been decreasing. “Iran’s average oil exports stand at one million barrels per day, but sometimes the figure rises or falls due to different factors,” he noted. “Based on the agreements, China is expected to import a certain amount of oil from Iran,” he said, adding that the Chinese part will try to reach the agreed figure by year-end. The latest report released by the Organization of the Petroleum Exporting Countries (OPEC) also suggest that Iran’s oil output in June was decreased by 26,600 barrels in comparison to its preceding month. Iran’s current production stands at 2.731 million barrels per day. The figure is one million barrels less than the country’s production rate before the US-led sanctions. According to OPEC, Iran’s current oil output is only 45,000 barrels more than the country’s average production in 2013.